I celebrate Passover and found it rather difficult this year to keep the “no bread, corn syrup, starchy foods” out of my daily routine for eight whole days. 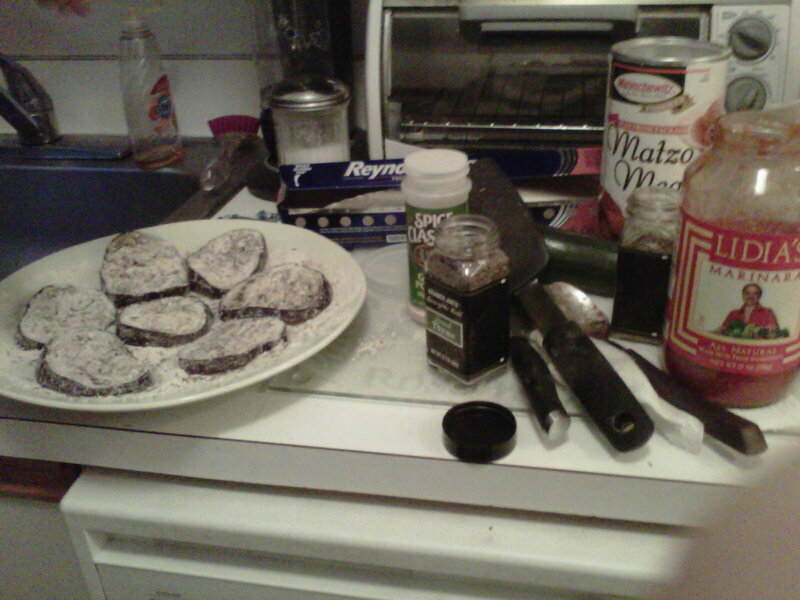 [Technically, I broke it by using dairy/meat that may have not been kosher for passover – but let’s not count that!] In my effort to curb those cravings, I decided to get creative! I used my kitchen as a resource to take everyday simple dishes and make them kosher-for-passover friendly and [trying to] maintain the great flavor! 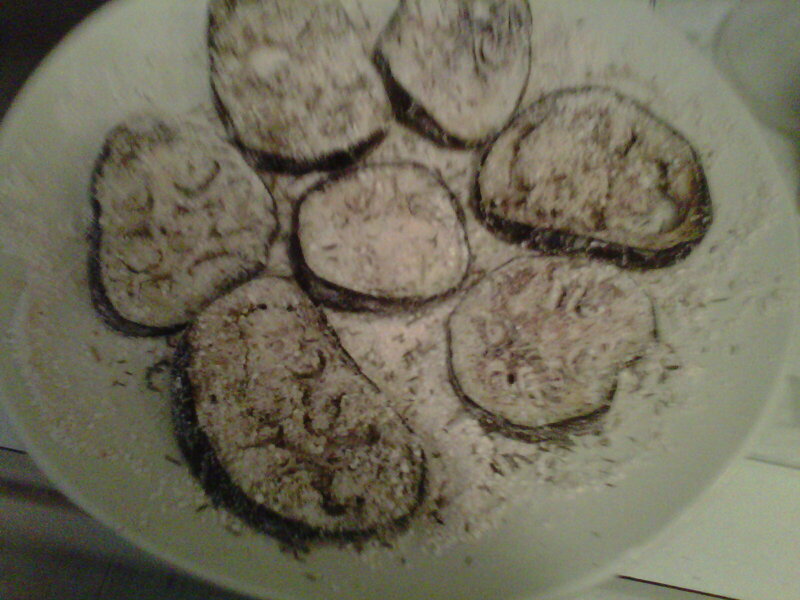 This recipe is was taken from the site Jewish in A Gentile World blog. 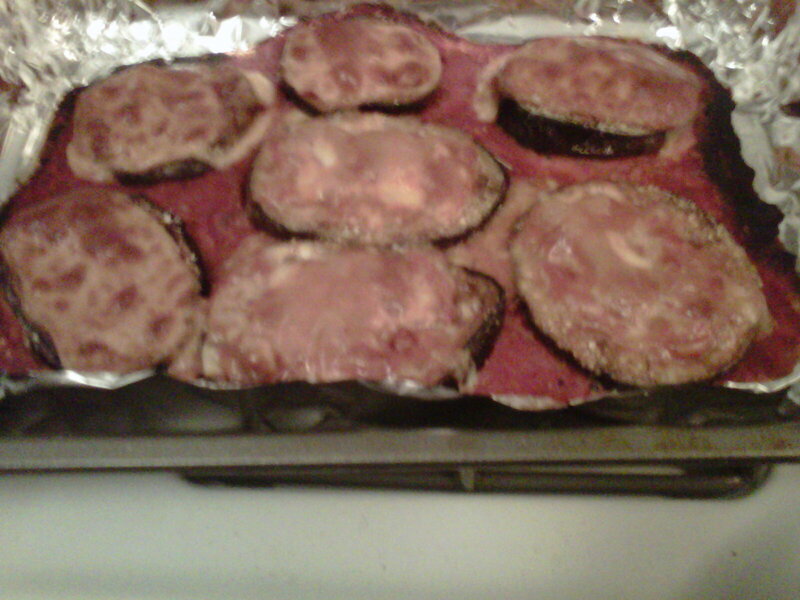 A few tweaks were made, but it is a generic eggplant parmigiana recipe that is simple, quick and can be enjoyed by all! Once the mixture is combined and stuck to the eggplant, transfer them to a pan and give equal space between each piece [to let the sauce/cheese have room to melt.] 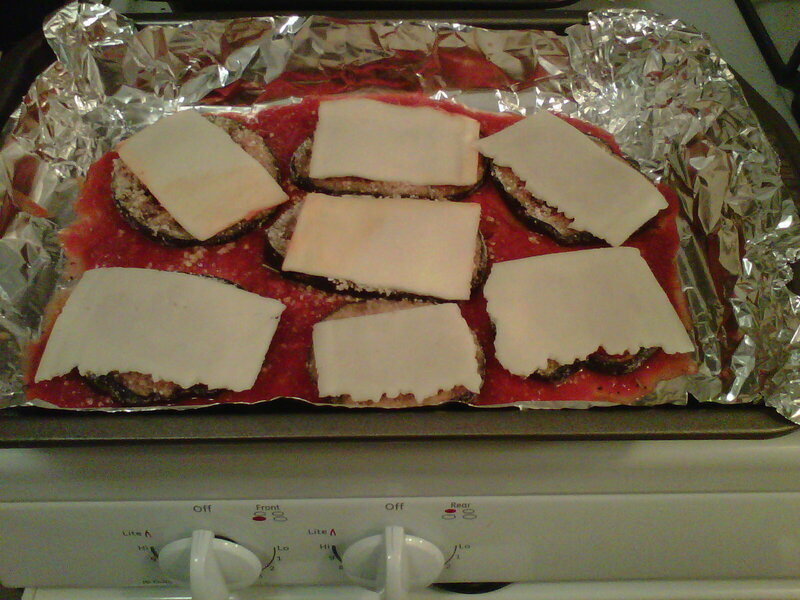 Add tomato sauce to each slice and a piece of cheese to each. [We used kosher for passover mozzarella and light muenster cheese – this can be traded for any type of cheese.] Once this is complete, you can put into the oven [best timing is probably 350 degrees for about 15-20 minutes.] Cook until you reach desired consistency. The final outcome should have the cheese melted and eggplant cooked through – the more you cook, the more burnt the cheese may get. 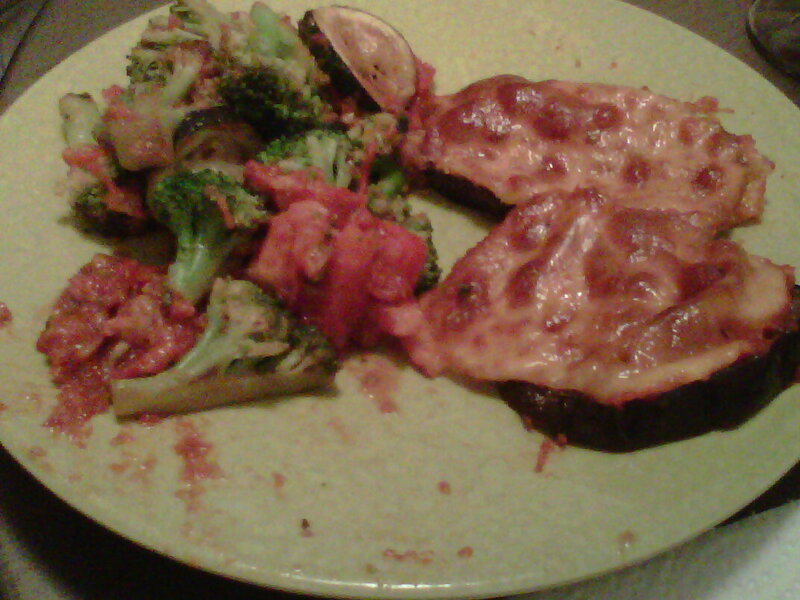 The results made for a delicious meal that was healthy yet delicious! Even though the holiday is over, I actually made this again last night but used white cheddar cheese to spice things up!